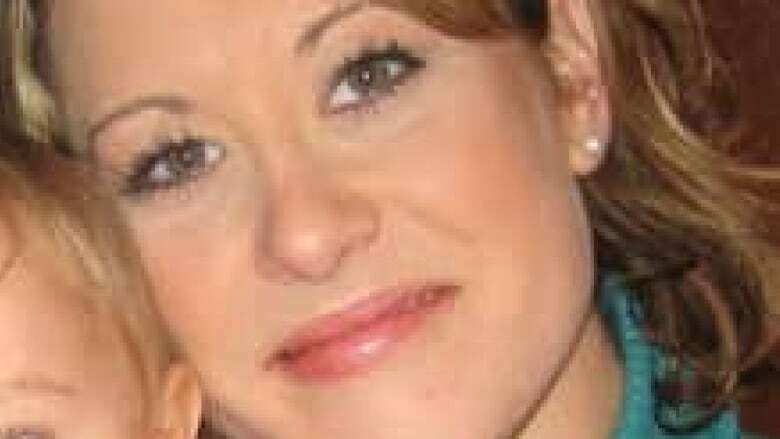 Family and friends of a missing Portage La Prairie woman will mark the 10-year anniversary of her disappearance with a candlelight vigil in Portage la Prairie Thursday evening. 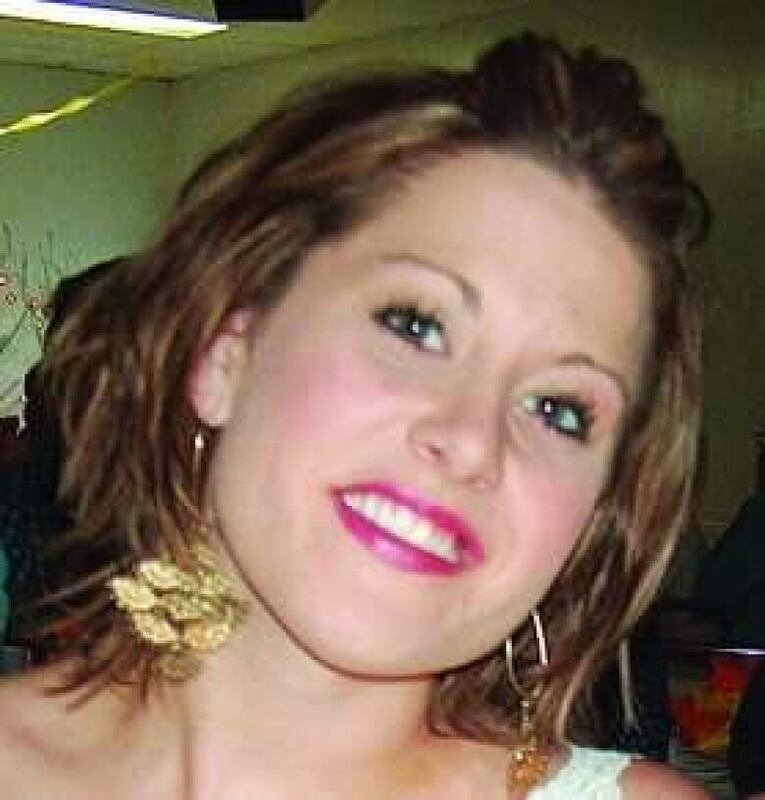 Amber McFarland was 24 when she was last seen during the early morning hours of Oct. 18, 2008, leaving the Cat and Fiddle Night Club, connected to the Midtown Motor Inn, wearing a black sweater and blue jeans. 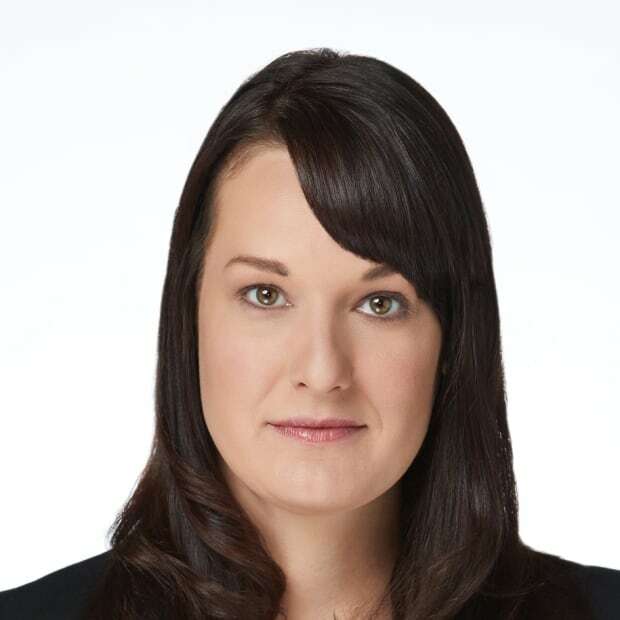 Surveillance video showed her with two men inside a hotel beer vendor in the small city about 80 kilometres west of Winnipeg. Her empty car was later found in a nearby parking lot. There's been no trace of her since. "It's a different kind of grief at the 10-year point," said Lori McFarland, Amber's mother, over the phone. "It's more of an acceptance of what's to be." The event is open to the community and will take place at Island Park near the bandstand at 7 p.m. It's the first public event the family has held for Amber since the year after she went missing. "Now, at the 10-year point, we just feel that we need to recognize that Amber is remembered and loved and cared for," said her mother. Amber's identical twin sister, Ashley Hewins, will speak publicly for the first time since her sister's disappearance. "I just feel like it's time," Hewins said over the phone. "It's been really difficult, having someone there with you from day one, and you share everything. "I've lost a part of myself." The family says they keep Amber's memory alive at home, especially for her young nephew, who was just nine months old when she disappeared. "On holidays we'll set a plate for Amber. We play her music; we talk about her," Lori McFarland said. "It was harder in the earlier years to talk about her, but now I enjoy talking about her." There have been few public developments in the case over the years. RCMP searched the residence of Amber's boyfriend in fall 2008; new evidence prompted them to return and dig up his backyard. Two men were arrested in 2009, one of them her boyfriend, who police said was one of the men in the surveillance video with her. Both were later released without being charged. Despite not finding McFarland, RCMP declared the case a homicide in 2009, but didn't say what prompted that decision. Lori said that didn't come as a surprise to the family and was something they had long suspected. "I think we already knew," she said of the day she learned her daughter's case was no longer a missing persons case. The McFarlands now hope someone will come forward with information about what happened to the woman they say had dreams of becoming an interior designer. "She was really outgoing, vibrant, full of life. She just had a loud laugh and she was a lot of fun," her mom said. "She went out of her way to help out others, and people still talk to me about things that Amber did for them." The family still has a cat, Suzy, that Amber brought home not long before she disappeared. "Sometimes I have a dream and she just walks through the door like she hasn't even been away, and I say, 'Amber, where've you been?'" McFarland said. "Sometimes that seems pretty real." It's hard to believe 10 years have passed, but harder yet to not have any answers, she said. "I still hold out hope that somebody will come forward with what they know." 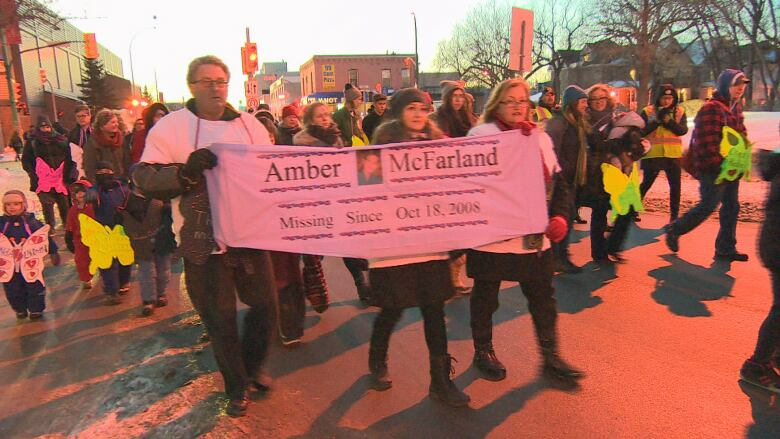 McFarland has found support in the community from families of other missing women. Jennifer Catcheway, also from Portage la Prairie, and Claudette Osborne, from Winnipeg, went missing the same year. The McFarlands take part in a march each Valentine's Day, the Memorial March for MMIWG2S, to honour missing and murdered women and girls. "It's pretty hard to see that this continues to happen and just watch these families continue to have to go through this pain and agony," she said. "It's not a club that you want to join, but we've really bonded with some of the other families through this." The family hopes by keeping Amber's photo in the media and raising awareness about her case, they'll eventually find closure. "We believe that there are people that know something of significance," her mom said. They want people with information to contact police — even if they feel like it may be insignificant — because any small detail could be the missing piece that brings Amber home. "She deserves to found and to be laid to rest with people that love her."